What is the official position of the Jehovah's Witnesses in regards to hell, specifically the doctrine of annihilation which says that people will not go on existing, that eventually God will just extinguish some/all souls rather than leaving them in a state of eternal punishment. The exception is those who are resurrected to spirit life, but this is only a relatively select few who will serve as kings and priests. Hellfire — Is It Part of Divine Justice? That is from a small tract so don't expect tons of detail. It is well written, easy to read, and easy to understand. 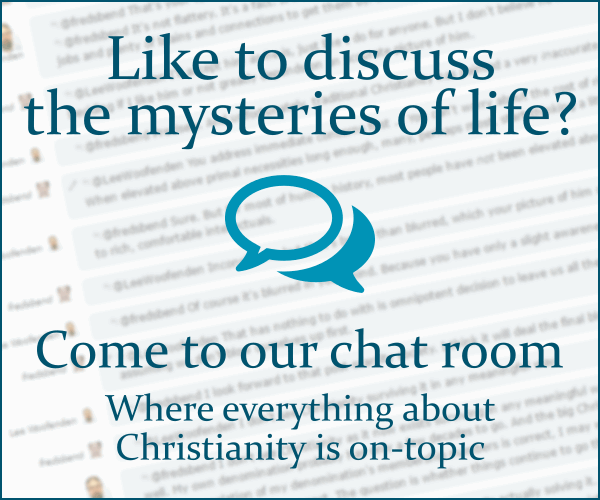 If you are interested in learning more, I recommend requesting a free Bible study. For that they normally use the Bible study aid What Does the Bible Really Teach? You can also view this book online and download it in EPUB or PDF format. It has several chapters and appendix sections related to your question. The first chapter is called "Is This What God Purposed?" Short answer: Jehovah's Witnesses do not believe in Hell. Even longer answer: The Biblical words usually translated as "Hell" are the Hebrew She'ol and the Greek Hades. Witnesses use these words (more often She'ol, in my experience, but the two can be used interchangeably), but they can occasionally use the English word Hell to describe the same concept. She'ol is not a place, physical or otherwise, but a condition: it is the state of non-existence. And everyone, when they die, simply ceases to exist (see next paragraph for an exception). This applies even to Jesus: when he died, he died. And then was raised after three days. So too the other resurrections in scripture: they were brought back from nothingness. This applied also to the 144,000 anointed ones. They died. And then they were resurrected to Heaven in 1914. Any anointed who have died since 1914 are resurrected straight to heaven, in a "twinkling of an eye". So that's the exception. In the new world order, many people from She'ol (Hell) will be resurrected. Those who rebel will, at the end, be thrown into the lake of fire. This indicates complete annihilation: the same sort of non-existence as in She'ol, but without any chance of future resurrection. Another term sometimes confused with Hell is Tartarus, which I believe is used only once in the Bible. The Witnesses believe that's a completely different thing: it's the condition of the Devil and his demons cast out of Heaven. Q. "Do Jehovah's Witnesses believe in annihilation?" Consequently, contrary to popular but highly erroneous belief, we who are members of the unified worldwide Christian congregation of Jehovah's most certainly DO in fact firmly believe in Hell / Sheol / Hades / The Grave as it's stated numerous times within God's Word the Bible. However, we DON'T believe that Hell / Sheol / Hades / The Grave is a place of everlasting literal fiery torment that God Almighty sends the wicked to roast forever. In short, we believe that the Bibles teaching on what Hell / Sheol / Hades / The Grave truly is, is VERY different from what the overwhelming vast majority of the Churches of Christendom are and have been teaching people. For example, by the use of God given reasoning skills and God's Word the Holy Bible, we find that both Adam & Eve were created PERFECT when God made them (Gen 1:31; Deuteronomy 32:4), they were flawless as far as Jehovah God was concerned regarding His standards for humans. When Adam & Eve of their own God given free-will chose to defy God and take of the forbidden fruit, they became IMPERFECT (no longer met up to God's perfect standard in human beings) and through Adam ALL of us humans inherit sin, sickness and death (Romans 3:23, 5:12). Here's the point... Where in scripture did Jehovah God eternally send Adam to as his punishment for DELEBERATELY sinning against God? Keep in mind also that what Adam did was not a mistake *because he knew exactly what he was doing*, he wasn't deceived / fooled into eating the forbidden fruit as his wife Eve had been (1 Timothy 2:14). Rather than a fiery place of torture / torment, Adam was sentenced back to the dust from whence he was created from, he returned back to being non-existent. That's what the Bible also shows happens to we who are his sinful descendants. NOTE: I am a dedicated and baptized member of the worldwide unified Christian Congregation of Jehovah's Witnesses. Not the answer you're looking for? Browse other questions tagged hell jehovahs-witnesses annihilationism or ask your own question. Does Jude 1:9 mean that Moses went to hell? Do Jehovah's Witnesses believe that the 1918 influenza was caused by Satan?